The long-time clip show "The Soup" is coming to end on December 18.
Who will tease the Kardashians now? After 22 seasons, E! 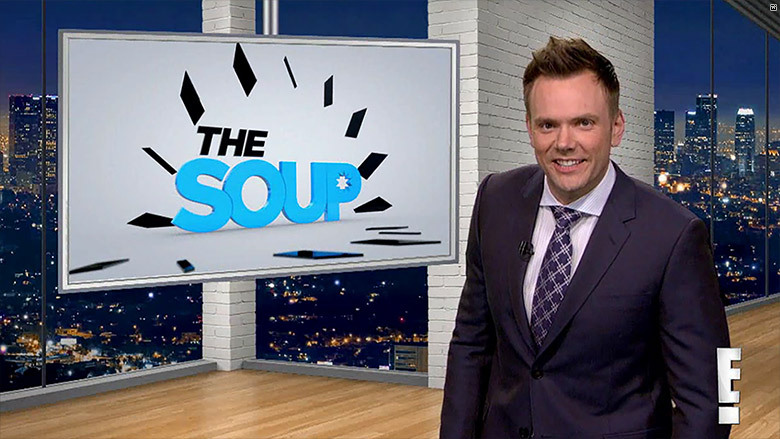 Entertainment's hilarious clip show "The Soup" is coming to an end, the network announced on Wednesday. The series, which has been hosted by comedian Joel McHale for 12 years, will have its last episode on December 18. "'The Soup' has delivered countless laughs and unforgettable episodes, and we are grateful to the talented team's fearless wit and clever approach week after week," Jeff Olde, EVP of programming for E! said in a statement. "Joel took the show to new heights for more than a decade, and his irreverent humor and unique brand of comedy as captured so perfectly on 'The Soup' will be missed." "The Soup" first premiered in 1991 as "Talk Soup," and was hosted by future Academy Award nominee Greg Kinnear. The show, which has its host stand in front of a green screen and lampoon sometimes outrageous clips from the week, in many ways helped influence the clip show format that has been used by the likes of "Tosh.0" and even "The Daily Show." In 2004, the series was rebooted with McHale who skewered the best and worst of reality TV, talk shows, and even E! Entertainment's first family, the Kardashians. New Friday night episodes of the series will continue to be hosted by McHale, who is also an executive producer on the show, and will include famous characters from the show's history such as Mankini and Lou the Chihuahua, according to the network. "The Soup" has had 3,324 episodes to date.